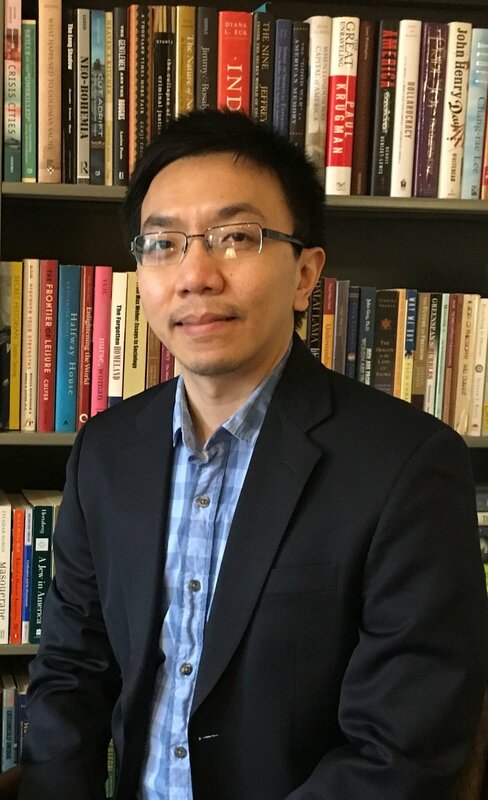 Van C. Tran is a sociologist whose research and writing broadly focus on the incorporation of Asian and Latino immigrants and their children, as well as its implications for American culture, politics and society. Within this area, his contribution lies in the study of the immigrant second generation (i.e. children of immigrants born in the U.S.) and how ethnic neighborhoods and cultural processes shape social mobility among second-generation Asian and Latino/a Americans. As an immigration scholar and urban sociologist, his research and teaching are deeply intertwined with the vibrancy and diversity of New York City. He follows a long tradition of scholars who engage with the city as a social laboratory for original research that seeks to inform urban social policy. His research has been published in both sociology and interdisciplinary journals, including Social Forces, International Migration Review, Ethnic and Racial Studies, City & Community, Russell Sage Foundation Journal of the Social Sciences, and The Annals of the American Academy of Political and Social Science. His scholarship has been recognized with awards from the Section on International Migration, Section on Latino/a Sociology and Section on Community and Urban Sociology of the American Sociological Association. At Columbia, Tran has taught a wide range of courses on race, ethnicity, and immigration, neighborhoods and urban poverty, and research methods, including the popular seminar Immigrant New York. He is also the faculty organizer of the Race, Ethnicity, and Migration Workshop. Tran is deeply devoted to the teaching and advising of his students and his work was recognized with a Presidential Award for Excellence in Teaching (2018) and a Faculty Mentoring Award (2017). Tran is actively engaged with the discipline, having served in many elected and appointed positions at both the Eastern Sociological Society and the American Sociological Association. Most recently, he serves as a consulting editor for the American Journal of Sociology, on the editorial board for Social Forces, on the ASA Distinguished Contribution to Teaching Award Committee, on the Program Committee for the 2018 Annual Meeting of the Eastern Sociological Society, and as a Council Member for the ASA Section on International Migration. Tran is deeply committed to public service. He serves on the academic advisory committee for New York at Its Core, a new landmark permanent exhibition celebrating the city’s history and diversity at the Museum of the City of New York which opened in November 2016. He served on the selection committee for the Soros Fellowships for New Americans which honors the exceptional contributions of immigrants and their children. He is a frequent commentator in the media and was selected as an NPR Source of the Week in July 2015. He is on the advisory board of the Youth & Hope Foundation which provides humanitarian and medical resources to the most disadvantaged children in rural Vietnam. Tran was born in Vietnam and grew up in Thailand before resettling in New York City as a refugee in 1998. He developed his interest in immigration and urban inequality as an observer of the city’s many diverse communities.